Every year, we take the week off surrounding the Christmas holiday... in order to give our staff time to focus fully on their families, friends, and any holiday celebrations/travel/etc. While we're on break, we've marked everything in the shop down... and you'll find all of our products 25% OFF! If you require assistance during this time, please use our site contact form -- but know that while we will do our best to check that customer service inbox during our break, our response time will be greatly delayed. Thank you for your patience and understanding. Meanwhile, the forum and gallery will still be open/active... so definitely keep posting those gorgeous pages and projects as eye candy for the rest of us to enjoy! thank you so much for the templates. Merry Christmas everyone. Merry Christmas! 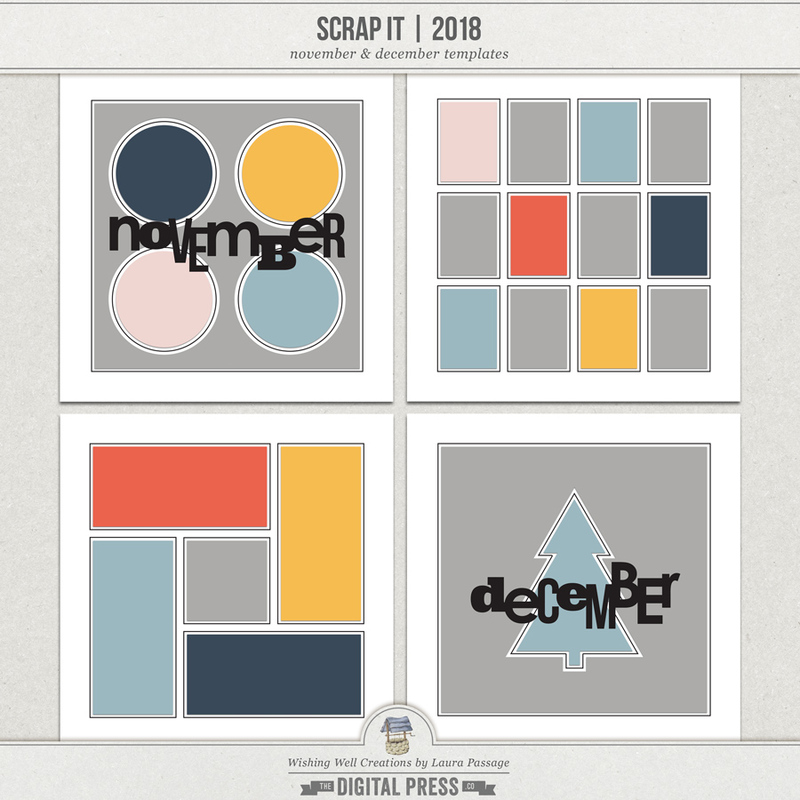 I am ready to finish up my 2018 yearbook, thank you for the templates! happy holidays and thank you for the templates !